A high guarantee tournament will be held which everyone can participate without burden. 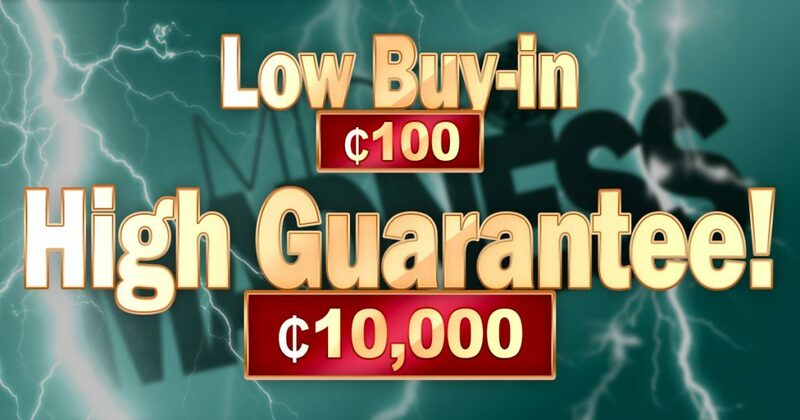 Many users wanted “low-buy in and high-Guaranteed tournaments.” And It will begin now!! From November 1st, you can meet the ‘微疯狂 Micro Madness ₵10,000 GTD’ tournament at 20:00 (CST) every day. You can be a winner of the high guaranteed tournament with only ₵100 buy-in!